You will never have to struggle to be understood or feel the language barrier prevents you from receiving clear answers to your questions. Services you can trust whatever your conveyancing, inheritance, legal and fiscal needs might be in Spain. Every Ábaco client is different. Our priority is to be available to you and make sure our services meet your needs. Ábaco Advisers is a well-respected firm of Spanish lawyers and solicitors with offices in Torrevieja, Alicante and Marbella. 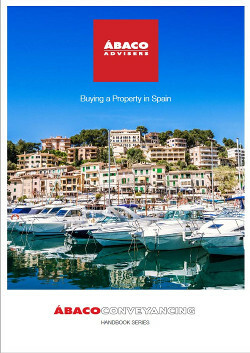 We specialise in services for foreign owners of Spanish property. Legal and tax advice is provided by experienced and well-qualified lawyers. Their areas of specialism include conveyancing, inheritance and tax. We speak your language with native speakers in seven languages including English, Swedish, Russian, French, German, Dutch and Spanish. If you are needing legal or tax advice in Spain then we will do our very best to meet your needs. Please contact us via email, telephone, call back or chat if you would like to know more about how we can help you.